The Houston Health Department works in partnership with the community to asses, plan, and implement public health strategies to reduce the spread of HIV, viral Hepatitis and other sexually transmitted diseases in the region. 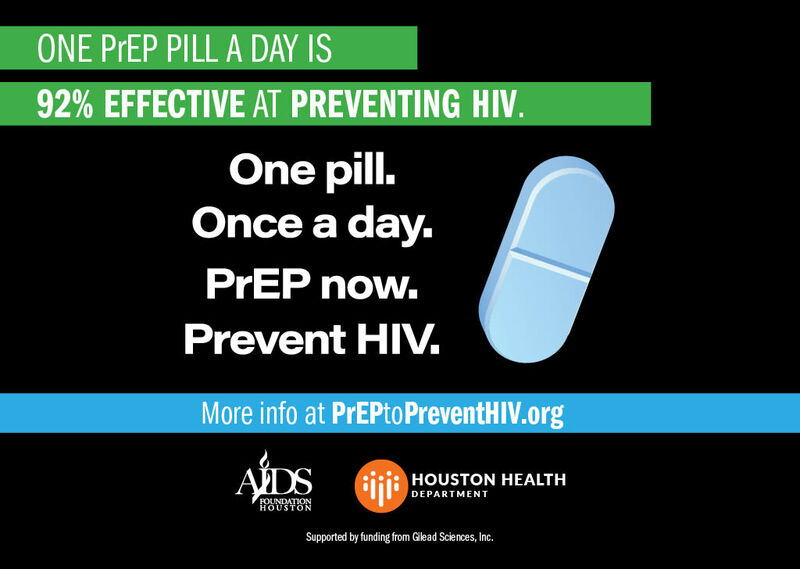 Part of this strategy includes educating Houstonians on PrEP, which is short for Pre-Exposure Prophylaxis; a new prescription medicine that one takes daily to reduce the risk of contracting HIV. The pill works to prevent HIV by interfering with HIV’s ability to copy itself in one’s body after exposure. This prevents the virus from establishing an infection and making you sick. When taken every day, PrEP has shown to reduce the risk of HIV infection in people who are at high risk by more than 90%. Interested in getting PrEP? Talk to your healthcare provider about whether PrEP is right for you. If your provider is unfamiliar, Houston Health Department can connect you to PrEP services. PrEP is covered by Medicaid and most insurance programs. All it takes is one pill once a day to prevent HIV. It’s time to take control of your health. If you are HIV-negative and think you might be at risk of getting HIV, taking PrEP can give you protection and peace of mind. For more information, visit http://www.houstontx.gov/, http://www.preptopreventhiv.org/, or call the prevention hotline at 832-393-5010.